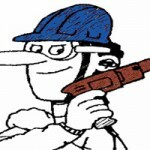 Safety is the most important consideration when operating power tools and machinery. If you choose not to take the necessary precautions, a tool can become a very dangerous adversary. Power tool and machinery manufacturers employ mechanical and electronic safety devices on their tools to make the tool as safe as possible, but in the end, it is up to you to ensure they use them in a responsible way. This includes employing the use of necessary personal protective equipment, and using the tool in a safe manner. The following is designed as a simple and informative guide only. Selection of the most appropriate safety equipment for your specific application, and the manner in which you should operate your particular tool will be stated in your tool’s instruction manual. Power tool safety can be divided into two main elements – personal protective equipment and power tool safety precautions. 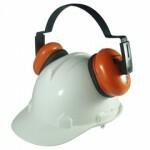 PPE is a very important safety factor that you should utilise when operating power tools and machinery. It covers all forms of personal protection, including respiratory, auditory, visual, and physical protection. The safe operation of power tools is the most effective way to protect yourself. 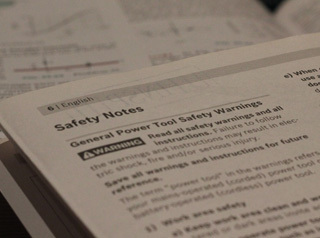 This section gives simple instructions and recommendations for operating power tools in a safe manner.